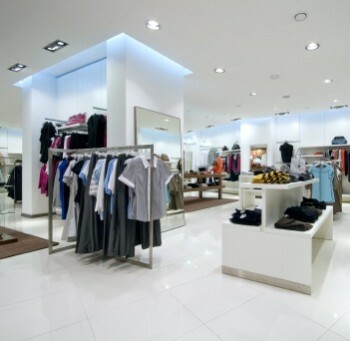 With current CSI associates handling shopping malls and retail stores, we are able to handle all of your retail cleaning needs. Daily and specialty cleaning needs are easily accomplished with the most effective floor machines as well as restroom steam cleaners are just some of the example of equipment that is used to maintain cleanliness. A customized housekeeping program is developed for each retail client to ensure that all of your unique needs are included in our maintenance program. Let CSI take the burden and worry about the housekeeping services from you. Isn't that one of the reasons you hire a cleaning contractor in the first place? We look forward to the opportunity to serve you for all your cleaning and janitorial service needs. Please contact us at Contact Us and/or if you are interested in more information on our professional retail center needs, please complete the Request a Quotation to receive a prompt response to discuss your specialized needs for your facility. We hope to serve you soon! Contract Specialists Incorporated (CSI) was featured on the front page of the Buffalo Job Finder recognizing the steady and increasing growth since 1989.